Discussing all things Atlanta United from players, game recaps, rumors, tailgating and Atlanta United hang outs. Join our hosts Blake and Joe every Thursday on YouTube and anywhere you get your podcasts. Blake grew up in the south surrounded by all things sports. As a graduate from Auburn University, he is no stranger to an immersive sports environment. When Atlanta United moved to town he finally found a hometown team to harness his passion. Blake brings a wealth of knowledge about the beautiful game that’s bordering on obsession. He currently resides in East Atlanta, and as a founding member never misses a game. Blake is a goalkeeper by trade but fancies himself as a striker. Catch him hangin at Brewhouse for away games. Joe grew up playing and loving soccer. As an active striker, he provides insight to current plays and strategies from an attack perspective. His love for soccer orientated with FC Bayern Munich but he has become a heavily invested fan of the MLS since Atlanta United was announced. Apart from being a founding member, he loves to spend his free time drinking local beers (mostly IPAs), cruising the BeltLine on his longboard and snowboarding. Ben and Brit are the definition of tech nerds with a sporting background. Brit played NCAA lacrosse for Birmingham-Southern and has a degree in audio engineering and composition. 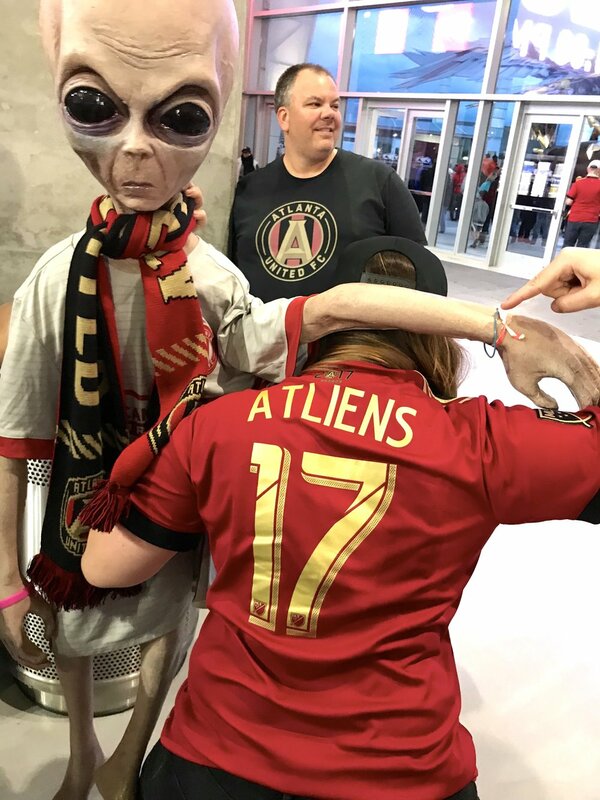 She likes to spend her free time composing new ATL UTD chants and heart-throbbing on Josef's quads. Ben is the technical guru. He is a podcast nerd who is excited to finally release his first project. You can find him spending his free time playing Hearthstone, finishing home renovation projects and prepping for ATLUTD tailgates.